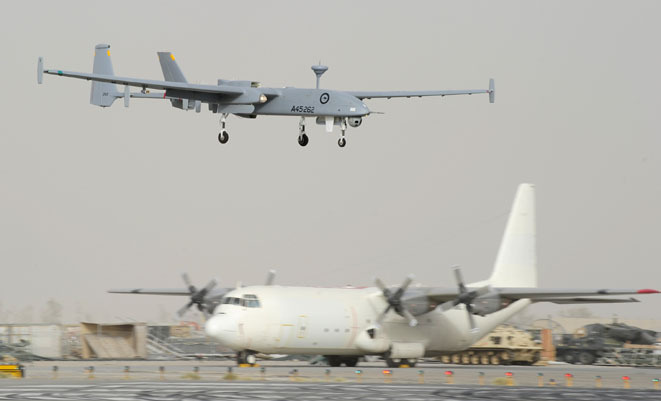 The mission to Afghanistan of the RAAF 5 Flight’s IAI Heron unmanned aerial system will be extended by six months to the end of 2014 following a request from the International Security Assistance Force (ISAF). The three unmanned aircraft and the supporting detachment are based at Kandahar and are tasked to perform information, surveillance and reconnaissance capability in support of ISAF forces during the traditional northern summer fighting season. The aircraft and much of their in service support are leased from Canadian firm MDC.